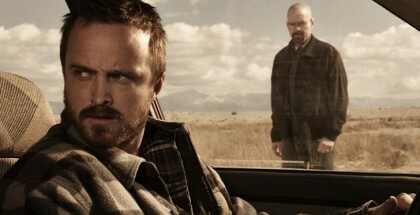 BBC Three often gets something of a bad rep due to the nature of some its programme. 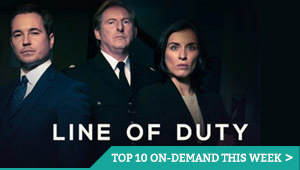 But as the channel prepares to be moved online, the Beeb’s line-up for younger audiences has not only gained more support from those keen to keep Three on-air, but has demonstrated over and over its value both as a showcase for talent and a platform for tackling important issues. The broadcaster, though, has a wider remit than that, from the Proms and the scientific achievement of photographing Pluto up close to coverage of athletics at the London Anniversary Games. The arrival of a David Walliams-starring Agatha Christie drama this week only adds to the diverse pickings. 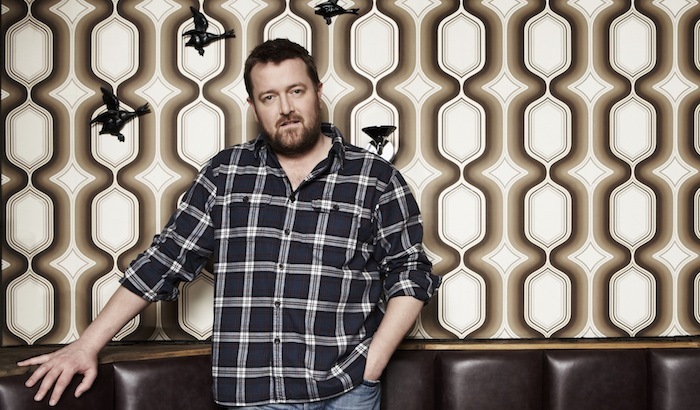 The Elbow’s likeable frontman throws the curtains wide on a new music series exclusive to iPlayer, which sees Garvey share and discuss artists that he is most excited about. 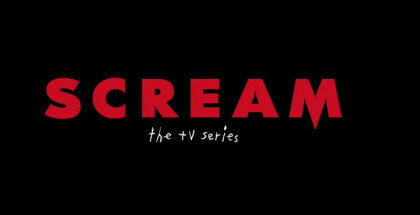 The series will run every other week for six episodes, with the first living up to its promise of introducing audiences to new music through its focus on Here We Go Magic. The exclusive premiere of the video for Falling – from their new album Be Small – is an apt coup, with Garvey providing the kind of amusing and insightful commentary that listeners to his Radio 6 Music show will be familiar with. Space for archive music from Radiohead brings diversity to the line-up, while the sub-30-minute runtime makes this an easy fit into your commute. Most impressive, though, is the BBC’s Playlister, which enables you to add tracks to a music playlist – a feature that, while not always relevant to the Beeb’s catch-up TV content, really comes into its own. Much like YouTube’s links to purchase audio from its videos, it’s the kind of innovative touch the BBC is good at – and could signal a strong future for IPlayer in the music VOD world. One day like this a fortnight will see us right. Matt Berry’s series of topical shorts continue to make us chuckle, even as the subject matter becomes more and more arbitrary. His response to the topic is to deliver his most surreal voice over and footage combo yet – but even if the topic and its follow-through feel more haphazard than in the past, there’s something undeniably hilarious about Matt Berry’s voice over the top of screaming fish. Long may that stay true. 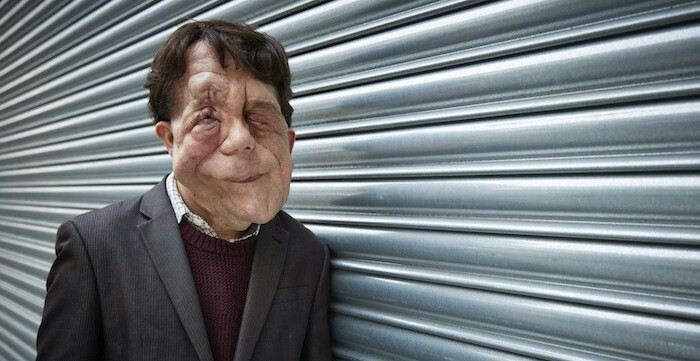 You may not have heard of Adam Pearson, but you’ll recognise him. He has one of those faces. 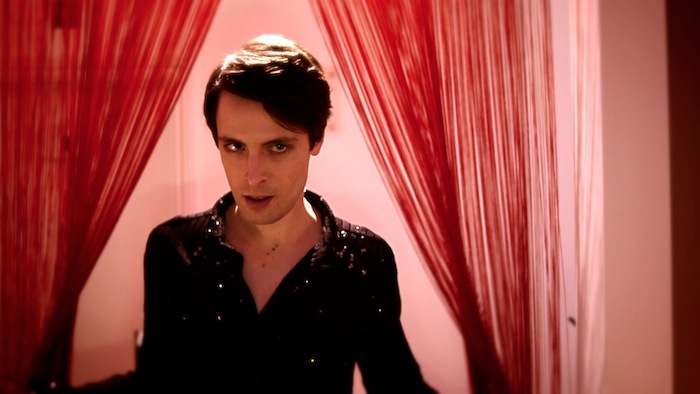 That’s partly because he starred in Under the Skin as one of Scarlett Johansson’s victims. 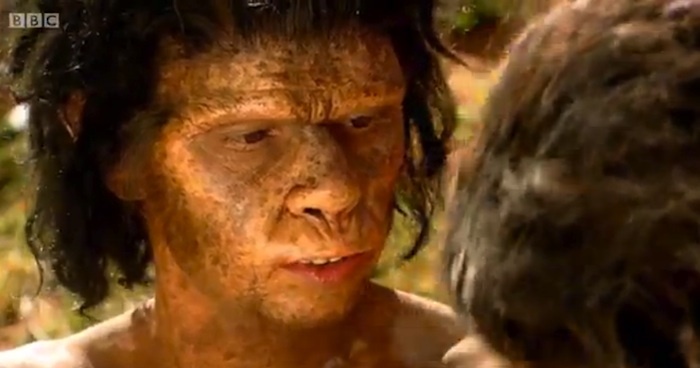 And partly because he suffers from neurofibromatosis type 1. If you haven’t heard of that either, you’ll certainly recognise the conditions effects: his facial disfigurement turns even the most well-assuming stranger into a demonstration of prejudice. Some people avoid him on buses, but others joke about setting him on fire. Every year, there are estimated to be over 50 thousand hate crimes against disabled people in the UK. But why are only around 1,000 reported? Taking to the streets for revealing vox pops and trying to track down someone at Google to clamp down on online bullying, his campaign to raise awareness of “disabilism” (prejudice against people with any form of disability) is funny, provocative and hugely uplifting. Like its important subject matter, this is a piece of television that shouldn’t go under-reported. It’s been three years since the London 2012 Olympics, but the Anniversary Games held every summer still conjure up warm feelings of nostalgia and national pride. With Jessica Ennis-Hill, Mo Farah and Usain Bolt all on the cards for the 2015 competition, though, there’s also sporting entertainment galore. NASA’s New Horizons mission is yet another reminder of mankind’s scientific achievements: the first time any probe has visited the dwarf planet. How did we get those images in such stunning close-up detail? 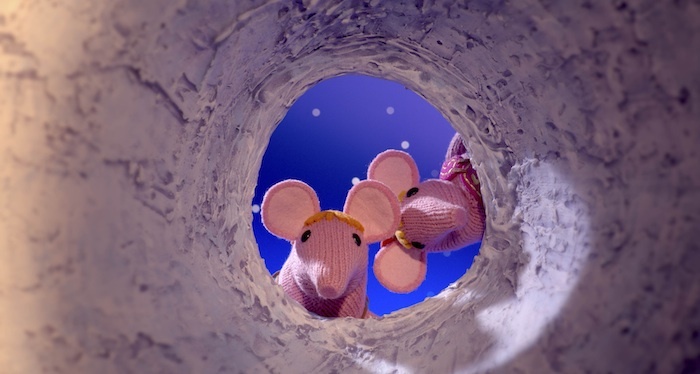 Maggie Aderin-Pocock and Chris Lintott present the inside story of the groundbreaking trip across the solar system in the 750th episode of the Beeb’s long-running astronomy programme. 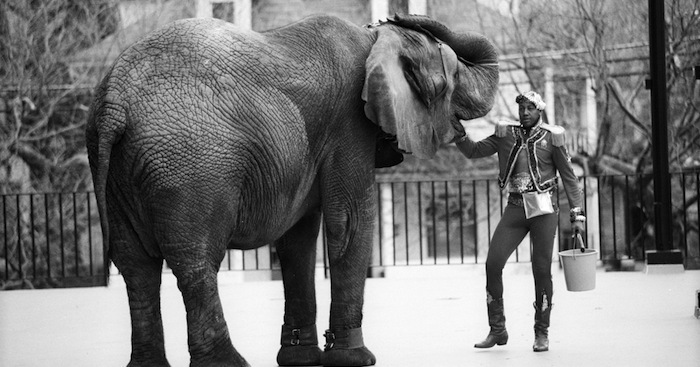 In 1973, a baby elephant was captured from the wild and trained to perform in the circus. He was named Tyke. “20 years later…” begins Storyville’s Circus Elephant Rampage ominously, as we are told of how the animal went on a rampage in Honolulu in 1994. Interviews and footage of trainers explaining their process build up to the event in a detail that recalls the recent Blackfish – and the final footage, shot first-hand by onlookers – is as shocking as that documentary. 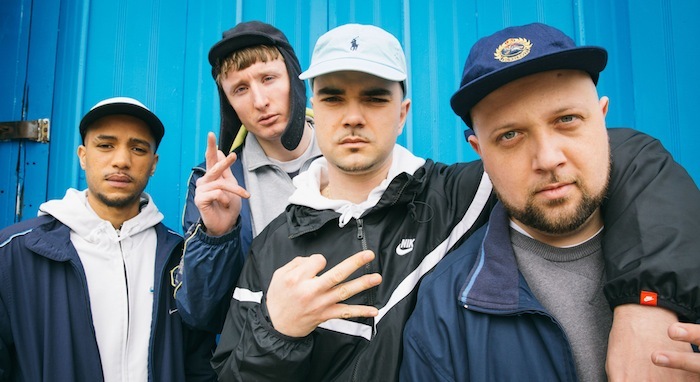 The BBC’s latest season of comedy pilots has arrived and it’s a consistently hilarious batch. Highlights include warped game show spoof Funz and Gamez, complete with depressed host and a production team that breaks into their contestants’ homes to steal prizes, and sketch show People Like Us, which just might be the best ensemble sketch programme since Big Train. Elsewhere, the return of a wayward daughter from university to her rural home is a delightfully original piece of comedy in an age where many sitcoms have become bland and familiar. These feeds should come with a warning – because they’ll leave you hungry for more. (Read our full review). As BBC iPlayer’s Original Drama Shorts return for another season, one of 2014’s best, My Jihad, returns as a miniseries of three 15-minute films. The first introduced us to Fahmida (Anjli Mohindra) and Nazir (Hamza Jeetooa), two single Muslims who crossed paths at an unsuccessful speed-dating night. Picking up events one month later, this is a universal exploration of love in modern Britain that packs in twice as much warmth and wit as most 30-minute shows do in a whole season. 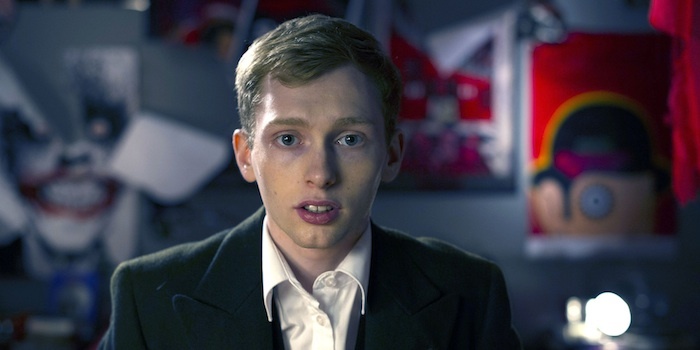 BBC iPlayer continues to prove a platform for new talent with its latest bunch of shorts. From a moving demonstration of isolation and connection in an online age to a darkly funny – and unpredictable – story of female love and family loyalty, this is an impressively versatile collection of stories that are more than worth spending time with. Broadcast by the BBC to mark the 10th anniversary of the 7/7 London bombings, A Song for Jenny is a heart-rending example of the cathartic power of TV. The film, adapted by Frank McGuinness from Julie Nicholson’s book, follows Julie as she tries to find out what happened to her daughter, Jenny, who was travelling in London that morning. It’s a horrifically honest performance from Emily Watson that brings to life exactly what Julie was going through, while the script keeps things sincere and straightfoward. The result is a rare insight into the raw anguish of loss. A decade after the terrorist attack, it brings a country together in a cry of bereavement, a prayer for grief and a hymn to a mother’s courage. The Proms are a fantastic additional to the cultural calendar every year, with the Beeb’s increasingly diverse range of programming – this year, instead of the semi-traditional Doctor Who Prom, there is a David Attenborough-themed event and one based around Sherlock – helping to make classical music as accessible as it is affordable. 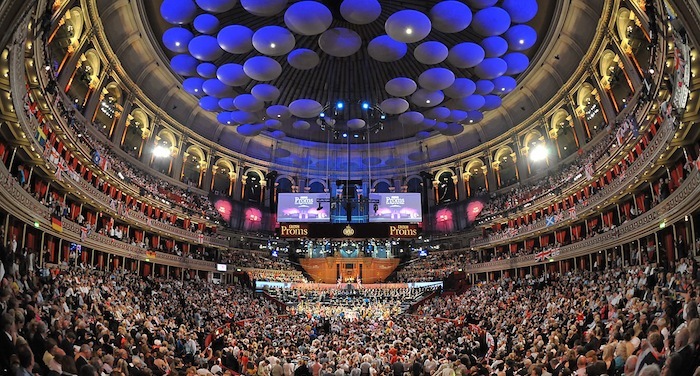 For those unable to make it to the Royal Albert Hall, the televised coverage is second to none, with a large proportion of Proms broadcast live and subsequently available to stream. Composers from Beethoven and Handel to Britten and Holst, plus performers such as Yo-Yo Ma, whenever you want to watch or listen to them? Play on, BBC. Play on. David Baddiel’s smart comedy stars Omid Djalili as Mahmud, a Muslim who lives in North London. When his mother dies, he finds out that he’s adopted – and Jewish. 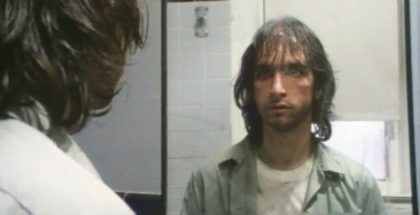 And so an American Jewish cabbie teaches him how to be a proper Jew, with disastrous results. Ewan McGregor and Emily Blunt bring a surprising amount of charm to this whimsical, flimsy tale of an advisor at the Department of Fisheries, who is hired by the assistant to a wealthy Yemeni client to create a salmon fishing paradise in his home country – something that he deems nigh impossible.